UPPER EAST SIDE, Manhattan (WABC) -- Police are looking for a suspect in two robberies at the same Upper East Side bank within a matter of weeks. Around 3:45 p.m. April 10, the suspect went into Chase Bank on East 86th Street and passed a bank teller a note demanding money, police said. The teller complied and gave the suspect an undetermined amount of cash. He then fled. 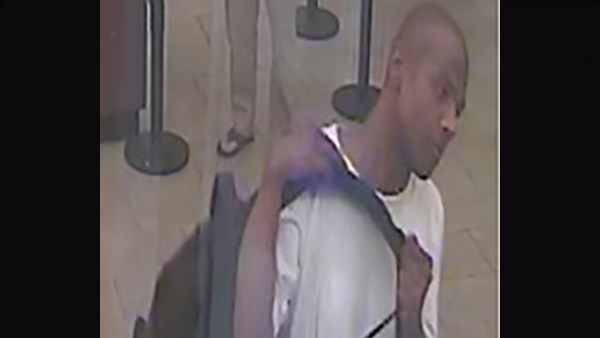 Around 11:30 a.m. Friday, police said the same man went into the same bank, and handed a teller a note demanding money. According to the New York City Police Department, the teller complied and the suspect fled. Police describe the suspect as a black man, 45 to 50 years old, 6 feet, and bald. He was last seen wearing a white T-shirt, and carrying a black book bag.